Learn more about the features and added value of MPS' EF flexo press. The EF is a high-quality and higly automated multi-substrate flexo press, especially designed for label production and flexible packaging printing on various substrates. 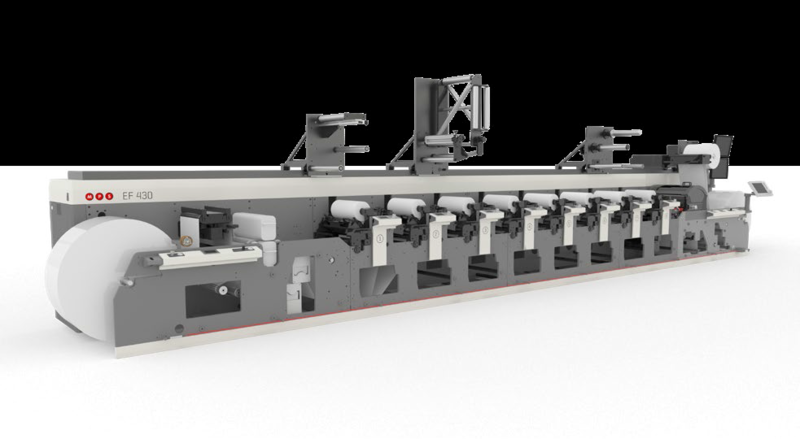 The EF provides the ultimate in flexibility and enables operators to maximise press performance, thanks to its ease of operation and reliability. "This unique press design made it easy for new operators to produce high-end work, where we are repeatedly matching colours using cartons printed offset as standards"
Download the product brochure now to find out about the features of the EF press and their added value.